The Saturday before I met Stephanie Leaks, they performed poetry at the Existimos FILM Festival, a funding festival for people of color and queer folk. “I felt truly comfortable for the first time,” Leaks says. They’re an alt-sensory poet based in Salt Lake who try to make poetry that’s both visual and standalone—their appearance at Existimos feels like a real moment of growth. “I had a 30-minute time slot. It helped me relax and focus … Part of that was me, but it’s also the space Patricia Campos created,” they say. 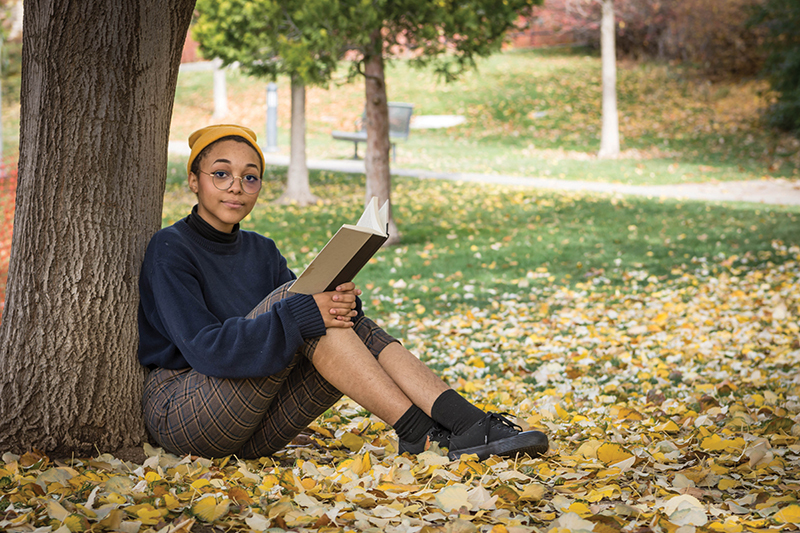 Leaks is one of Salt Lake’s most promising, young, black poets, and I can hear the satisfaction in their voice. “I felt good in my own skin,” Leaks says. Leaks will often go long stretches without doing any substantive writing. “I’m more of a sprinter,” they say. “I’ll go long periods of time not writing anything, and then I’ll have a week, a couple days, maybe even a month where I’ll be writing nonstop.” But Leaks says that inevitably, they’ll slow down and start putting energy into the projects that draw on that intense writing period: making chapbooks, visual pieces or zines. They’ll still write, of course, but maybe just a bit, scribbling a seed of inspiration down and following it as far as it’ll grow. Ultimately, both periods feed into each other—the writing fuels the projects as much as the projects fuel the fervor to write—and each has their ebb and flow. After spending years bouncing around Salt Lake’s art scene, Leaks feels like they’re disjointed. “It feels like there are a bunch of microcosms all over the art scene, and none of them are really well-connected. 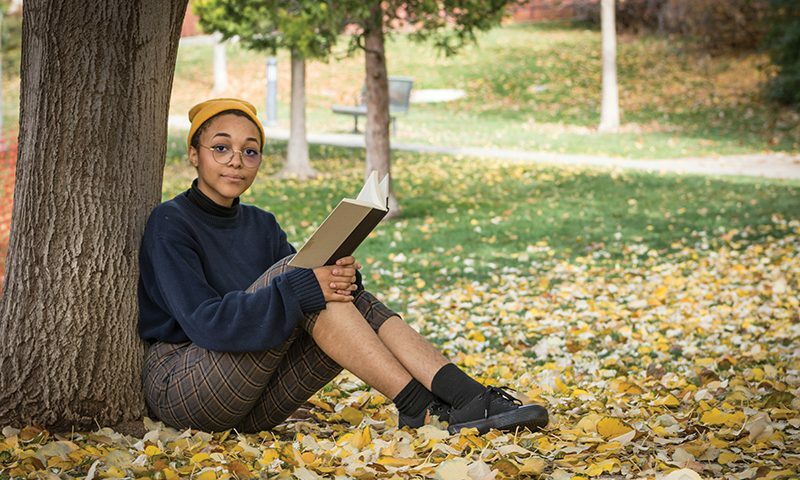 You can go to an art event popular with the art scene, and you can go to an art event at the University of Utah, and you don’t see any of the same people.” Leaks is quick to remind me that people are putting in a lot of good work, but it just doesn’t gain traction outside their specific group. It’s a hard problem to solve. Though Leaks doesn’t claim to know the answer, they believe a step forward would be to get people across the art scene not just to connect online, but to follow through: Engage with people’s art as much as you do them. Come to events you might normally not attend. Leaks argues that this especially helps young or new artists, and a crowd of fresh faces can help to prevent burnout in an artist—or a whole community—and continually revitalize the poets’ work as it percolates through more people. Leaks’ advice is to step outside of your comfort zone when you can, and, most importantly, show up ready to listen first and to party second. You can follow Stephanie Leaks on Instagram @interprismatic and buy their latest chapbook, talking myself down from love, other heights from their website, slpoetry.space. All upcoming events and all their current and past work are there too.